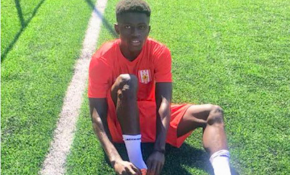 The Professional Footballers Association of Ghana(PFAG) will file a complaint to FIFA’s Dispute Resolution Chamber about an Albanian club which systematically mistreated a young Ghanaian footballer it signed on a season long loan. Gideon Offei was not paid for three months, exempted from training sessions and kicked out of the hotel room which the club FK Bylis had arranged for him. Offei has reported the abusive behavior of the club to the international players’ union FIFPro, and the PFAG is championing the cause to have his overdue salary arrears and compensation paid the 20 year old. FK Bylis signed Offei on a season-long loan from Albanian first division club KF Tirana in September 2018. The PFAG continues to stand with and for our professional football players!